Mina K. Chung, MD, is a Staff Cardiologist in the Section of Pacing and Electrophysiology, The Robert and Suzanne Tomsich Department of Cardiovascular Medicine, at Cleveland Clinic. Dr. Chung is board-certified in internal medicine and in the subspecialties of cardiovascular disease and clinical cardiac electrophysiology, which is her specialty interest. Dr. Chung did her undergraduate work at the University of California at San Diego, graduating with a major in chemistry, and she was inducted into Phi Beta Kappa, the national honor society. She received her medical degree from Washington University School of Medicine in St. Louis, where she completed her internship and residency in internal medicine at the Jewish Hospital of the Washington University School of Medicine, becoming Chief Resident. She received fellowships in research and in cardiology from the Jewish Hospital, followed by a fellowship in cardiac electrophysiology from Barnes Hospital, Washington University School of Medicine, during which she received the Michael Bilitch Fellowship Award in Cardiac Pacing and Electrophysiology from the North American Society of Pacing and Electrophysiology. Dr. Chung has been principal investigator or co-investigator in a number of important clinical trials studying atrial fibrillation, supraventricular and ventricular arrhythmias, cardioversion, pacemaker and defibrillator therapy, biventricular pacing for heart failure and catheter ablation approaches. Along with colleagues at Cleveland Clinic, she reported the first association of inflammation with persistence of atrial fibrillation. She has also been a Principal Investigator for AFFIRM (Atrial Fibrillation Follow-up Investigation of Rhythm Management), a multicenter randomized trial of rate-control versus rhythm-control strategies for atrial fibrillation. In this study, she has led analyses that demonstrate functional status benefits that help to justify and rationalize maintenance of sinus rhythm in patients with symptomatic atrial fibrillation. 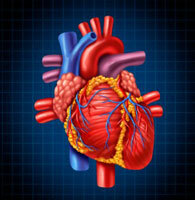 She is also investigating the genetics of arrhythmias, including atrial fibrillation. Dr. Chung has been an invited lecturer to numerous national conferences to present findings from her research.